Hello my lovely brides and grooms to be! Hope you are enjoying your wedding planning and that we can help you have a wonderful day, with all kinds of exciting photos and video to remember it by and to share with family and friends. I have been photographing Asian weddings since 2003, the first one being in Wakefield, but since then have been the wedding photographer at many Indian and Pakistani - Muslim, Hindu and Sikh - weddings in West Yorkshire - Leeds, Bradford and Dewsbury, as well as in other parts of the UK (mainly Leicester, London, Sheffield, Manchester and Blackburn and Cheshire) as well as internationally in Pakistan, Norway and The Gambia, West Africa. We also come as a husband and wife team for video too. Mixed race or multicultural weddings are great too, and potentially allow for a more creatve approach to the couple's picturers, after their wedding ceremony. Just a few seconds from the DVD intro for a Mehndi Elaine shot in Bradford at The Mirage. The video below is of an Asian bride in Norway. She found us by doing a Google search, even though she lives in Norway! We loved travelling there and hope to go back to Norway again if anyone else is getting married there. We were too busy to see much of the country but the people are wonderful! Here is a 4 minute slideshow of some of the photos from her wedding day - reportage/documentary style pictures - just happy people. To see more of Elaine's Asian wedding photography click here! Recently we have been photographing and videoing Asian weddings at Nawaabs in Manchester, Eastern Pearl, The Sheridon Suite, Al-Maidah, Mottram Hall, and Davenport Green Hall - in the Cheshire area - and locally to us at the Aakash in Cleckheaton, and Crossley House in Halifax. and but sadly most of those couples won't allow us to put their wedding pictures online....a big problem for Asian wedding photographers! However here is the start of one in a beautiful marquee by a lake, espcially for the bride's father, who even rang me to say he hasn't seen himself on my site yet, and was really keen for these to go online so he can see them from abroad. . Above is a slideshow of all the wedding pictures from a Hindu wedding, so Miyaan, Sangeet, Sainth, Sehra Bhandi, Shaadi, and Kanga. 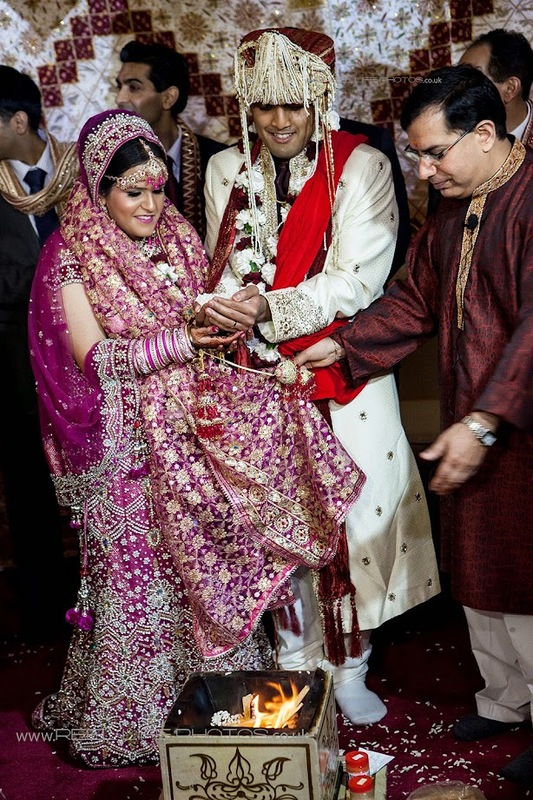 Below is a picture from the same traditional Hindu wedding ceremony in Birmingham. 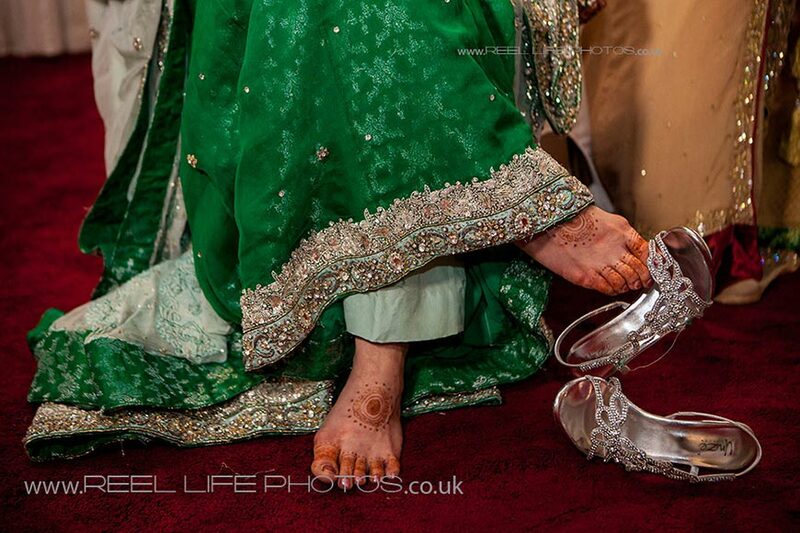 Some of our most exciting Asian wedding photos were shot in Pakistan, so the real deal! . 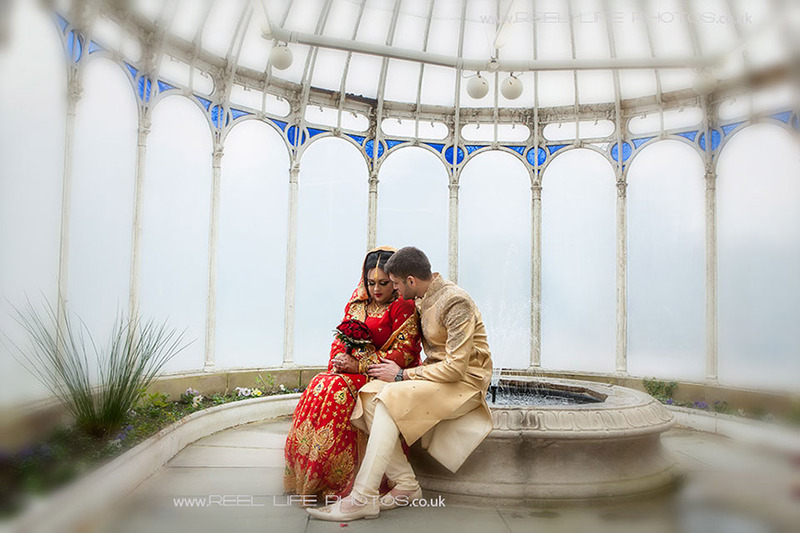 We photographed several Asian (Bengali) weddings in Leeds, Hull, Manchester and Newcastle, as well as Somali Mulsim wedding, and exclusive Asian weddings at Crossley House in Halifax, and an Egyptian Muslim wedding in Sheffield, so travel all over! 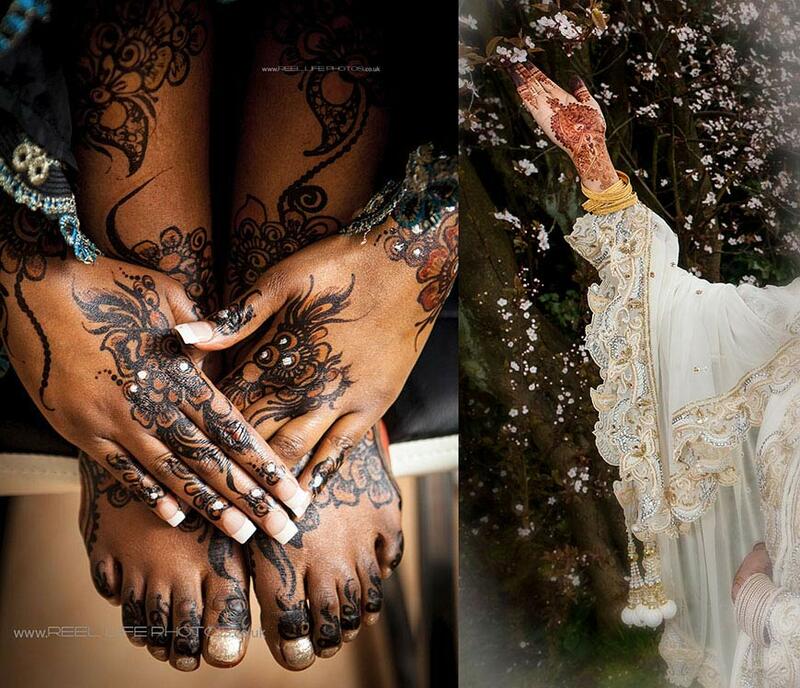 Above are two Muslim wedding pictures, one from a Somali wedding, and the other from a Pakistani Asian one in Bradford, with the bride outside by a cherry tree in blossom. Though physically demanding we love sharing different culture's weddings through the eyes of our cameras, so long as we have some artistic control for a few moments in and amongst the day's traditional events. I always dress the part too, so usually fit in well, even though I am white British...See Denise's comments about the wedding I did in Gambia on our Guestbook and more comments on our Review page. See more Asian wedding photos 1- here and 2- here and 3- here. You can catch a glimpse of an Iraqi Arabic wedding too: just sorry not permitted to show you more! We also have another taster on our Picture Blog a-here and b-here and c-here. We also have a Bedouin wedding in Jordan. Last year I won FIRST prize in the INTERNATIONAL WEDDING PHOTOGRAPHERS EXCELLENCE AWARDS! The brief was to submit 5 images from the same wedding that showed the excitement and emotions. Am totally bowled over that I actually won it with a selection of photos from a recent Hindu wedding! Contact Elaine for a quote as each individual wedding is different...We are happy even to travel to India for your wedding and have already been to Pakistan for a client's wedding in March, where I was the official wedding photographer for both the local Pakistani bride and the groom from Wakefield, and have been receiving new wedding enquiries for Pakistan again since then, so hope to bring you some more wedding ideas from the Indian sub continent soon. Asian wedding at Crossley House in Halifax. You can see more photos on our Facebook page. 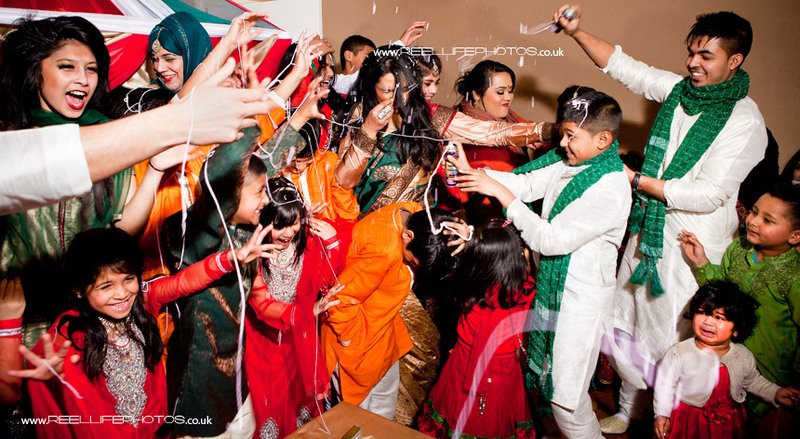 In 2012 I was the professional wedding photographer at a Bengali wedding in Leeds, the first one I had ever photographed, though since then have photographed one in Sheffield and one in Manchester at Al-Maidah, another also in Manchester and in Hull too. It was also the first time I had seen Silly Strings used at an Asian wedding. Just goes to show how, after an evening of posed pics on the stage, Bangladeshi Muslims know how to have a great time! Punjabi Muslim weddings can happen in any country - and in August we went all the way to Norway for one Pakistani wedding. 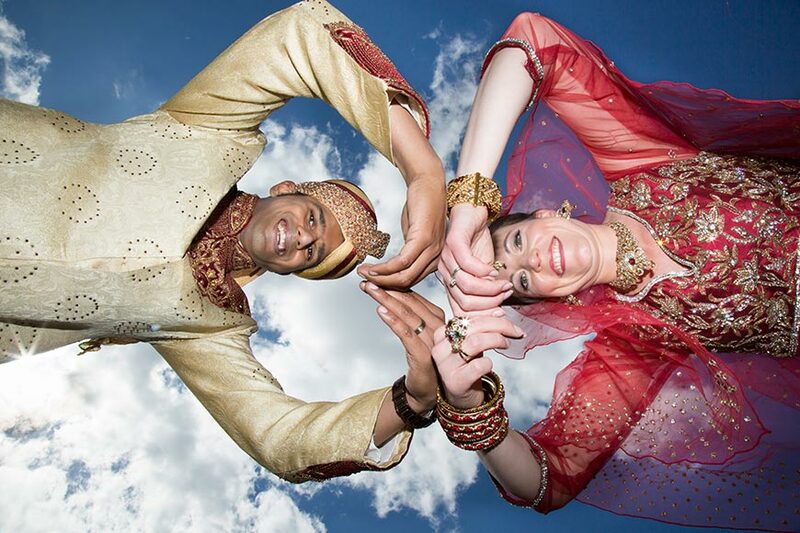 Also in August 2013 photographed another Asian wedding in Blackburn and Manchester. We also designed a beautiful storybook for a Bradford Muslim bride, but unfortunately I am not allowed to show it here. The wedding Baraat took place at Cedar Court Hotel in Bradford and the Walimah at Aagrah Midpoint Restaurant near Bradford in Thornbury. We also created an exciting video for the couple and their families. Hindu wedding video...great fun! We had another Indian wedding recently too, so now have video and photos from the varius ceremonies - Miyaan, Sangeet, Baraat, Sehra Bhandi, Kanga, and final wedding reception - all very colourful too! Vishal's HINDU Miyaan wedding ceremony ritual with turmeric in Barnsley! ( more pics here). A short clip from a Miyaan Hindu wedding ceremony - bit like a stag do, only all the family share in the fun! Give me a call so I can personalise the video and photography prices to suit you, as realise many are evening or afternoon only events. I often stay in London with my first ever Asian bride whose wedding was early in 2003, before we went digital. It is brilliant to catch up with her, and see how well we got on, more than 15 years on since her massive wedding in Wakefield. It was the groom who hired me on that occasion to cover his side, as he had seen me in action at an English friend's wedding, but of course I ended up covering the whole lot, full of all the traditions over 4 days, with over 2000 guests at the Walimah!